You can now track the status of NH’s Cryptocurrency Vending Machines from the Coin Radar site here. Bitcoin was the most important change to happen to money in generations. By decentralizing control of money out of the hands of the warmongering state and the banks, you get an amazing form of money with low fees that is accepted worldwide by countless businesses. Since Bitcoin’s launch in 2009, hundreds of competitors have popped up. At Shire Crypto Vending, we can’t really say if any one of Bitcoin’s competition is better than the others, but DASH has really stood out from the pack, so as of July of 2017, Shire BTC Vending has added DASH support at our Keene and Manchester units and become Shire Crypto Vending! Bitcoin and other cryptocurrencies like DASH and Ether are widespread in the Shire. 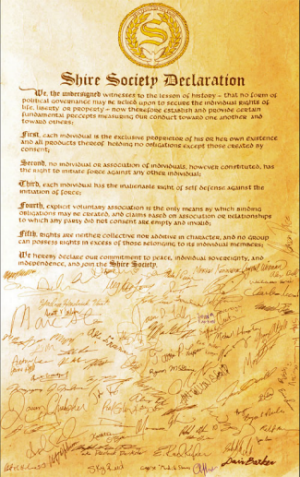 Shire Society members appreciate money that doesn’t require asking anyone’s permission to use it. Cryptocurrency easy to use and works well. 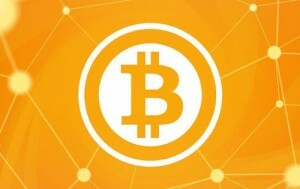 Local businesses have started to use bitcoin across the Shire. You can see an interactive map of some of them here. Cryptocurrency transactions keep your value away from predators like the state, whose paper dollars they can endlessly print and use to go to war around the world. Since cryptocurrency like Bitcoin is not subject to the whims of politicians, it is therefore one of the greatest tools for peace in addition to personal empowerment. 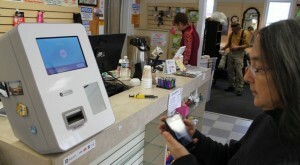 That’s why the Shire Free Church launched what was then called “Shire BTC Vending” on November 5th, 2014 when we placed our first Bitcoin Vending Machine (BVM) at a store in Keene. The goal of Shire Crypto Vending is not to profit, but to assist in spreading cryptocurrency so as to foster peace, the church’s mission. Funds earned from our Crypto Vending Machines (CVM) are invested in our cryptocurrency outreach and other church outreach projects. 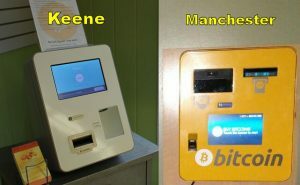 For instance, after finally covering the cost of buying the BVMs, in October of 2016 we launched :60 advertisements for months on local radio and TV in Keene to promote the businesses in the area that are accepting bitcoin! The ads are a great introduction to Bitcoin for area consumers, positioning Bitcoin as an international, but also very local currency. Around here, “It’s Keene to buy local”, and the second ad in the series makes it clear the benefits to our community when businesses to stop sending 3% of their sales to credit card companies by adopting cryptocurrency and encouraging customers to do the same. Later in 2017, we launched months of print ads promoting Bitcoin in the Monadnock region. In April of 2015, the Keene machine was upgraded to the Lamassu brand Bitcoin Vending Machine. The Lamassu was created in the Shire by libertarians. The original Keene unit, the Skyhook brand, is still used for special events. After more than a year of operation in Keene, we launched a second BVM in Manchester in January 2016 at Murphy’s Taproom on Elm St., which is basically Manchester’s main street. The Manchester “General Bytes” brand BVM continues our mission of providing the most affordable, private bitcoin possible to the community. In July of 2017, the Manchester unit was upgraded to add DASH as an alternative to bitcoin, making it our first Crypto Vending Machine! Then, Keene’s unit was upgraded to a top-of-the-line General Bytes brand machine in Spring of 2018. The original Keene Lamassu was then moved downtown to the Keene State College neighborhood at Thirsty Owl bar/cafe. Keene – College Area: Thirsty Owl is at 141 Winchester St., open seven days per week, Sun-Wed 11a-11p and Thu-Sat 11a-2a. If you’re traveling a long distance and want to call the store in advance to make sure they are open, dial 603-355-8166. If you have any issues with the machine, please email keenecrypto at gmail.com as soon as possible. Keene – Route 101: Route 101 Local Goods is at 661 Marlboro St. in Keene, open five days per week, Wed-Sat 10a-6p and Sun 11a-5p. If you’re traveling a long distance and want to call the store in advance to make sure they are open, dial 603-499-4949. If you have any issues with the machine, please email keenecrypto at gmail.com as soon as possible. Manchester: Murphy’s Taproom at 494 Elm St. in Manchester is open all seven days per week, 9:00a-2:00a. You can call and confirm they and the machine are open at 603-644-3535. If you have any issues with the machine, please email shirebtcmanch at googlegroups.com as soon as possible.